It’s an eating pattern with great health benefits. 1) Rather than a diet, intermittent fasting is a pattern of eating. Simply put, it’s about when you eat rather than what you eat. The ideal pattern is the 8/16 method, where you don’t eat for 16 hours and you give yourself an 8-hour window to consume all your calories. It’s a lot doable than you think as you can begin your first meal at 11 a.m. (technically brunch), take in a small snack in the afternoon, and have your dinner at 7 p.m.
2) It is similar to how our early ancestors’ way of eating. Fasting is natural to human beings. Humans were initially hunters-gatherers, which means they ate when food was available and fasted for long periods of time when they couldn’t find anything to eat. This has allowed our bodies to evolve, sustain, and survive without eating for long hours or an entire day. It has been natural to humans for thousands of years. 3) You can have drinks during the fasting period. This is of course limited to low or non-caloric beverages such as water, lemon water, tea, or coffee to maximize the benefits of your intermittent fasting. 4) Taking supplements is allowed and even recommended when you fast. In order to provide your body with the adequate nutrients, vitamins, minerals, and antioxidants it needs, taking supplements and even probiotics is ideal when you fast. This ensures you don’t miss out on the essentials even while you’re not eating. 5) It’s advised to consult your doctor if you a have a medical concern before you take on the program. BioBalance Institute offers an intermittent fasting program, which includes helping you assess your overall health and body needs, as well as a guide to the eating pattern based on your goals. 6) It can help you get leaner and increase muscle weight while reducing body fat. When you are eating, your body is of course in the absorbing/ digesting mode. When you aren’t eating, it runs on burn mode. During this mode, your insulin levels are lower, allowing you to easily burn fat, plus the fat that you don’t really get to burn when your are in the absorbing mode. The burn mode lasts for about 12 hours after your last meal, thus the ideal eating schedule of intermittent fasting. 7) Intermittent fasting is linked to various metabolic health benefits. 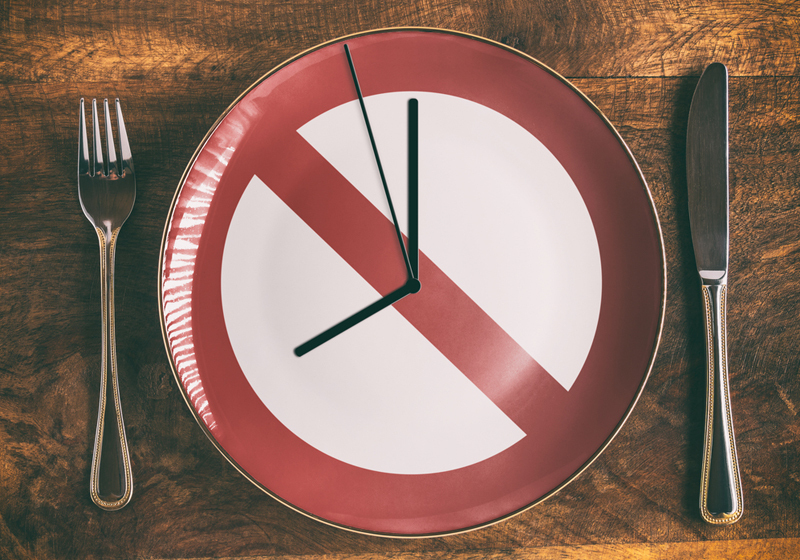 A recent study reveals that intermittent fasting favorably influences cardiovascular and cardiometabolic health apart from weight loss. 8) It can help prolong your life. Sticking to this eating pattern, studies show, may help in extending human life spans and health spans, owing it to caloric restriction’s and intermittent fasting’s benefits for the brain. Also, in an experiment with mice, it was found the those given restricted calories and placed under intermittent fasting became smaller and leaner, and had less body fat. These are “the most effective way of extending the life-span of mammals without genetically altering them,” the study says. 9) It can help in preventing chronic diseases. Yet another study brings to light how intermittent fasting may reduce the risk of cancer, Type 2 diabetes, and Alzheimer’s disease, among others. It has been shown to “improve glucose tolerance and insulin action, which indicates an enhancement in insulin sensitivity; to reduce blood pressure and the heart rate; and to reduce oxidative damage to lipids, protein, and DNA, which implies a protective effect against oxidative stress,” the study states. There truly are many reasons beyond weight loss to consider intermittent fasting as your next big lifestyle change. It may first be a test in self-control, but as you go along, you’ll find yourself getting used to such a simpler eating pattern.